PRICED BELOW MARKET VALUE! 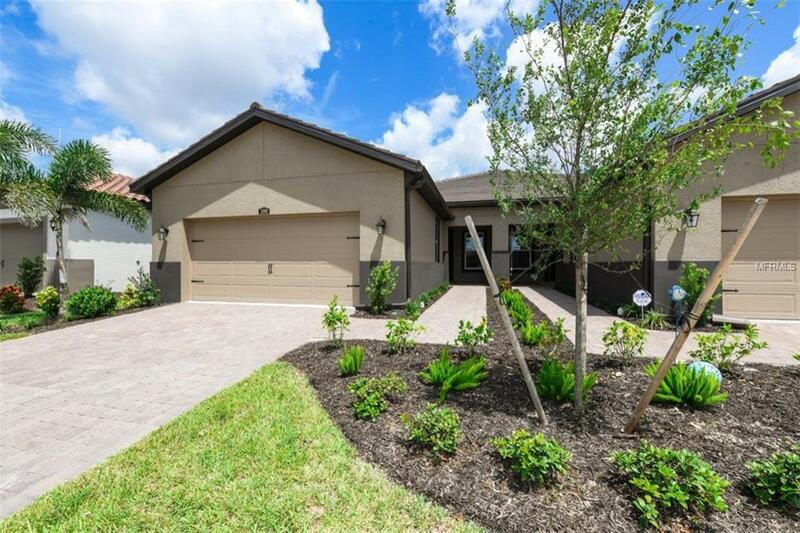 Beautiful "BRAND NEW" Villa is located in the desirable community of The Renaissance at West Villages! This spacious 2 bedroom, 2 bath, plus den "Sea Glass" floor plan offers 1688 square feet of living space with an open living room, a dining room or flex room, and kitchen that are perfect for entertaining.This lovely "maintenance free" villa includes porcelain tile everywhere except the bedrooms. The kitchen has stainless-steel appliances, stylish 42" cabinets,granite counter tops,subway tile back splash,and breakfast bar. The Master bedroom is spacious w/tray ceiling and en-suite bathroom that includes granite dual vanity sinks and enclosed walk-in shower. This villa has sliders that lead from the living area to the beautiful screened in lanai w/paver flooring. Great area to sit outside and relax in the evenings.Two-car attached garage and 1 year builder warranty. Add'l upgrades include:office french doors,window blinds,ceiling fans,DR light fixture,wall paint,frosted pantry door,washing machine,LR plumbed for utility sink,pendants,garbage disposal . This community is located just minutes from Venice Island and its historic downtown shopping,restaurants, and award winning beaches.The resort-style Amenities include a clubhouse, pool, playground,dog park, pickle ball, tennis, and more! Located with convenient access to all major roadways, you will find this in a gated, amenity- filled neighborhood that you love calling home! Schedule your private tour today! PRICED TO SELL!